Welcome to the VerbaCom® Negotiations Blog - The Collaborative Link - for alternative dispute individuals interested in sharing and discussing current topics relating to negotiations, collaboration, dispute/conflict resolution and mediation topics to improve skills and learn better approaches in the field. Try as they may, clients and their respective attorneys sometimes fail to come up with a negotiated agreement that they can all live with and arrive at a no deal situation also known as an empasse. 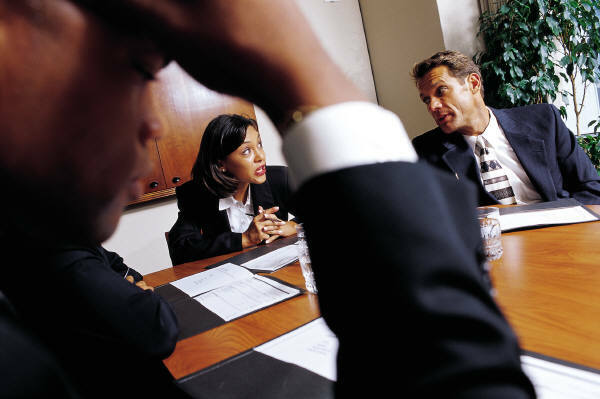 Before taking on expensive litigation, some parties try to make a last ditch effort to resolve their problems through mediation, in which a neutral mediator helps the parties resolve their conflict. Some parties also acquire an attorney to serve as a legal advisor during the process who will “watch their backs”. Stage One: The Joint Session whereby the parties are typically brought together to a) educate the Mediator about the reason for the “dispute”, b) to uncover different perspectives on the facts and c) to determine what it would take for the parties to arrive at a satisfactory resolution. Stage Two: If emotions run high, the Mediator may proceed to separating the parties in an effort to continue settlement efforts. In separate sessions, called Caucuses, the Mediator meets with each party separately, assuring the parties that any information shared in the caucus would not be divulged unless given permission to do so. In both Stages, the Mediator should be aware of the importance of asking the right questions. Since the Mediator is privy to the perspectives of both sides of the mediation, it can be a real challenge to remain neutral, especially if the Mediator sees a solution that is heavily weighted toward one side. The Mediator’s job is to remain neutral at all costs and refrain from offering advice to one or both parties. Doing so can backfire, especially if a suggestion made to a party is perceived as leaning to the advantage of the opposing party and will then jeopardize the Mediator's position of neutrality. One way to avoid a biased position is to ask questions that get the parties to “think about” certain options. Because the mediation's core interests are all about a successful negotiation, a good Mediator will ask the parties specific questions to flush out underlying issues, their reasons for positional thinking, and possible options leading to a resolution. Phrases like, “Have you thought about….” or “What do you think would be the consequences/benefits of that option to you or the other party?” Questions, if formulated correctly and wisely used by the Mediator to help parties create value for themselves and the other side, can be a path for the parties to come up with a resolution themselves. In essence, the Mediator facilitates the process of creating and claiming value, brought about by the parties themselves. This usually leads to better resolutions and greater by-in by both of the parties. ©2012 VerbaCom®. All Rights Reserved. In the complex world of negotiation, coming up with a deal that the parties can live with in the long run, is no easy task. How negotiators GET there become crucial. Besides the relationship & trust building, determining of BATNA's, trust building, counterpart cultural & style saavy, there are other considerations leading to better agreements. • Remember you're not negotiating alone - consider your counterpart's position, interests and bottom line. Research shows that if you can convince your counterpart that you have his/her wants and needs in mind and will work towards helping him/her get them (at little cost to you), chances are, he/she will usually reciprocate. Building trust through dialogue and asking the right questions, is key. • Know the Negotiating Process - Negotiation is both very dynamic and static. Always know where you are in the process and be ready to change direction at any time by using tactics that focus on mutual gain and the goal in mind. • Know your Negotiating Style and Your Counterpart's to interact appropriately for best results. Knowing the strengths and weaknesses of your negotiating style and learning how to modify them to counter other styles, different from yours, can increase your chances of getting a better deal. • Handle Tough negotiators by using "Not Playing THAT Game" tactics. Remember, they are at the table because they see value in what you have to offer. Don't subject yourself to intimidation or inappropriate behavior. Threaten to walk away if they don't stop using foul language, insults or inappropriate behavior. Your greatest power is the ability to walk. Be sure you have some other option (BATNA) up your sleeve in case this negotiation fails. It'll make it easier to walk away. • Learn how to Expand the Pie Rather Than Splitting It In Half. Build an atmosphere of trust to solve the negotiating problem together through dialogue. Use open-ended questions to determine your counterpart's perspective, needs and wants. For instance, rather than just splitting the difference between you and your counterpart, brainstorm other options available. You may find that you and your counterpart may come up with other ways to solve your negotiation "problem", thus making your take-away, greater in value for you and your counterpart. Research also shows that deals are longer lasting when all parties have opportunities for creating and claiming value. Excerpts from "Keys to Negotiating for Mutual Gain - A Collaborative Approach" by I. Zucker, Copyright 2012 VerbaCom®. Irene is President of VerbaCom® Executive Development, an national training company providing public speaking training, negotiation training and executive development services. VerbaCom clients include corporate executives, entrepreneurs, civic, government, and academic groups. For more information or to schedule a consultation, call (972) 386-8372. Copyright © 2010 VerbaCom®. All rights reserved. www.verbacom.com. Simple theme. Powered by Blogger.